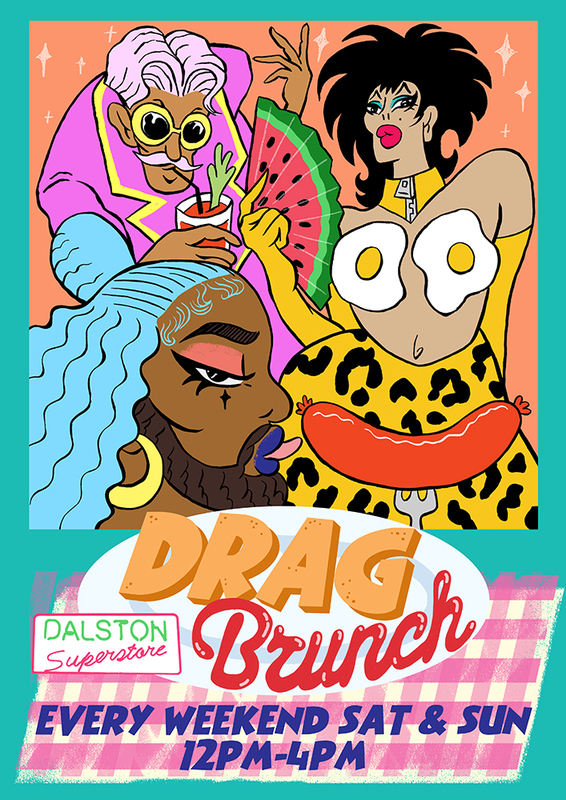 Every Saturday and Sunday afternoon Dalston Superstore presents Drag Brunch to lull you out of your hangover stupor! Expect all flavours of drag nonsense, gorgeous breakfast cocktails and brunch specials all day. Hosts include Power Brunch, Shayshay, Just May, A Man To Pet, Showtunes Brunch and Female Trouble’s Dyke Brunch. Follow the Drag Brunch facebook page for more information!